The caterpillars that they produce are hidden out there, equipped to endure frost. The last frost is now behind us, and surely those caterpillars have been busy! 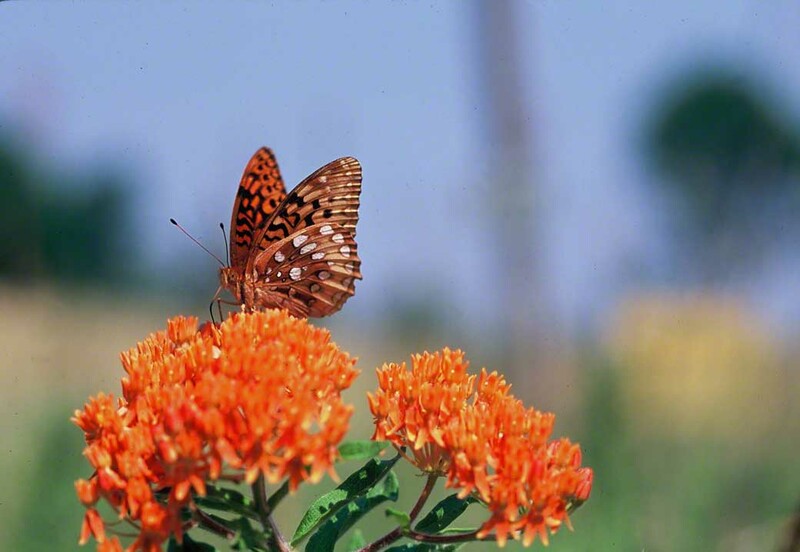 So it’s just the right moment to post this stirring image of a Great Spangled Fritillary nectaring on butterflyweed flowers. We count the weeks before we see butterfly and wildflower together. Speyeria cybele is among the largest of the fritillaries. The freshest of them (males) make their appearance first, then the females make flight. We see them in our gardens, parks and in sylvan settings that offer them wildflowers. I used the word esthete this morning in an email. You are viewing this blog and clearly that distinguishes you as an esthete!